The Columbia school district sent a letter to the community Thursday in response to various recent criticisms. The letter focuses on a number of topics: the special education program, Response to Intervention Program, bidding requirements, funding sources for projects, Health/Life Safety items, board policies and the Open Meetings Act. The Republic-Times has reported on many of these issues as they have come up at board meetings. The letter does reveal new information, however, related to the Open Meetings Act, which is a law governing public access to meetings of government bodies. A 2017 document from the Illinois Association of School Board entitled “Letting the Sunshine in: School Board Meetings and Records” describes the importance of the law. In Thursday’s letter, the school district admitted to violating the OMA twice in 2018. The violations were brought to the district’s attention after school board member Tammy Mitchell Hines submitted a request for review to the Illinois Attorney General’s office in June. The attorney general’s office sent its ruling to Hines and Columbia Superintendent Gina Segobiano on Jan. 3. 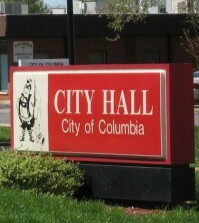 It found the Columbia school board violated the OMA in connection with its May 17 and June 25 meetings. The violation during the May board meeting relates to an agenda item. Minutes from the meeting show that after closed session, the board unanimously approved motions to assign Courtney Castelli as Columbia Middle School principal, approve non-union employee salaries and approve administrative salaries for this school year. According to the letter from the attorney general’s office, the district argued the language in the motion to go into closed session, plus the reference to personnel items, provided the public with advance notice of the motions the board approved. Additionally, documents obtained by the Republic-Times and other news agencies from the Regional Office of Education via a Freedom of Information Act request includes email correspondence between Segobiano and Hines related to this meeting. “Motions after executive session do not contain specific information, for the resulting motion stems from executive session,” Segobiano wrote to Hines on May 17. The attorney general determined the law says otherwise. The June 25 violation is because the district failed to post an agenda for the meeting, which was a special meeting, on its website. “A public body that has a website that the full-time staff of the public body maintains shall post notice on its website of all meetings of the governing body on the public website,” the OMA states. The agenda must also be posted at least 48 hours in advance. In its letter to the community, the district does not contest this claim. “The secretary who posts the board agendas was on vacation,” the district noted. The district did continuously post the agenda at its office, fulfilling that requirement. It argued that nullified any violation for not posting the agenda online, according to the attorney general. Again, the attorney general’s office found otherwise, saying the “plain language” of the OMA clearly states the agenda must be posted on the district website. “There are no exceptions to OMA’s website posting requirements for situations in which individuals responsible for website posting are on vacation – it is incumbent on a public body to make alternative arrangements to fully comply with the advance notice requirements of OMA,” the attorney general’s letter states. The district said in its letter to the community that it now has three employees with training and access to post agendas on the website. Given that, the attorney general’s office concluded no other remedial action was necessary and closed the matter of both cases. A final OMA issue the district letter mentioned is that the attorney general’s office is reviewing another potential violation. This stems from the executive session of an Oct. 18 board meeting, which may have included discussion on items that should have been talked about in open session. The letter from the district to parents, which is available on the district’s website, closed with a call for teamwork. Segobiano encouraged anyone with questions, concerns or who wanted additional information to email her directly. To view the school district’s entire information document, visit http://www.chseagles.com.